Tuition for the 2018-2019 academic year is $4,510 per course, $18,040 per quarter (four course units), or $54,120 per academic year (three quarters). Tuition and fees are the same for both domestic and international students. Annual increases in these costs have typically been about five percent. International students and students who plan to live off campus should anticipate annual cost of living expenses to be $18,000 to $22,000. The MPM program offers financial support to exceptionally qualified U.S. citizens and permanent residents. The nominal maximum award is a one-half tuition scholarship which covers one-half of the tuition for each of the twelve courses required to complete the program. However, the typical award is less and depends on the amount of funds available and the number of qualified applicants. In addition, student loans are available through Northwestern University for U.S. citizens and permanent residents. Please visit the following link to complete the free application for Federal Student Aid (FAFSA) online. 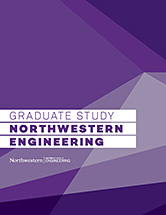 The Department of Education code for Northwestern University is 001739. No direct financial support is available for international students, but a student loan is possible if an American citizen agrees to be a cosigner to the loan. The MPM program endeavors to be a military friendly program and every reasonable effort is made to assist veterans and active duty personnel financially and administratively in their quest to earn an MS degree. For eligible veterans, tuition expenses will be largely covered by the Post 9-11 GI Bill and the Yellow Ribbon program. To view the full list of veteran benefits, visit the U.S. Department of Veterans Affairs online. The Evanston Office of Graduate Financial Aid will facilitate the application and financial aid process for all applicants. For qualified active duty military personnel and veterans who are not eligible for the Post 9-11 GI Bill, we will work with you to assemble a financial aid subsidy which enables you to achieve your goal.